Get ready for a new level of luxury with MARCELLO VERO international classic style. Subtle details, perfect fabrics, precise cuts. Email us today for your consultation. 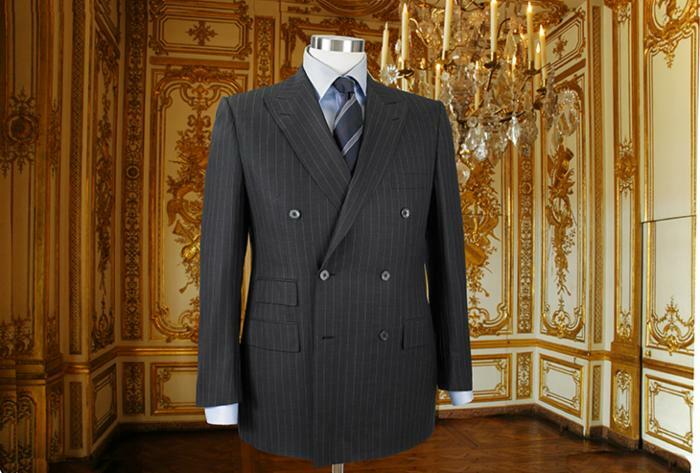 Shown above: Double Breasted 6/2 peak-lapel stripe suit in dark grey 13.5 Micron Super 180's wool with ticket pocket and side vents. Made in Italy. MARCELLO VERO blue herringbone cotton handmade dress shirt from Italy. 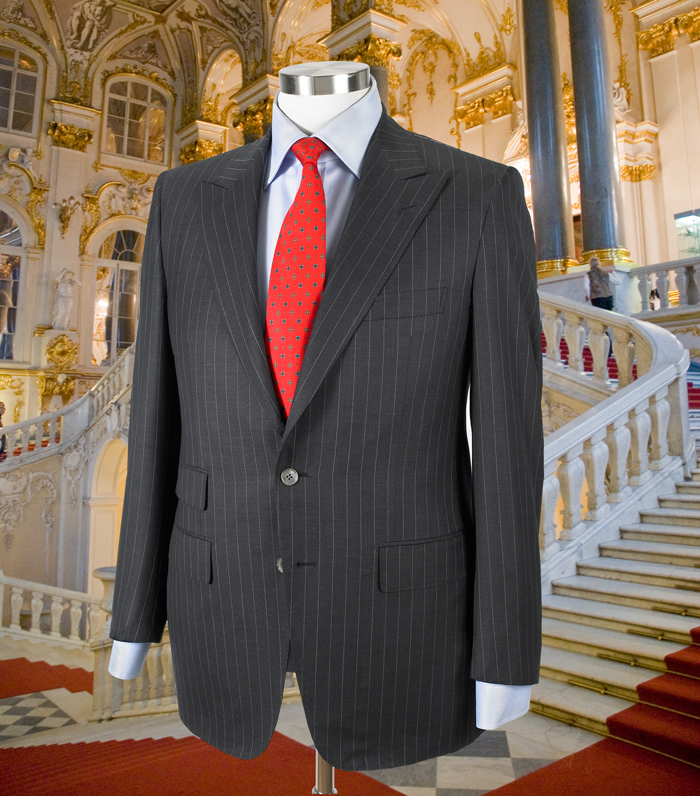 Shown above: Two-button peak-lapel suit in gray stripe super 180’s wool with ticket pocket and side vents. Made in Italy.